PRICED BELOW APPRAISED VALUE!!! 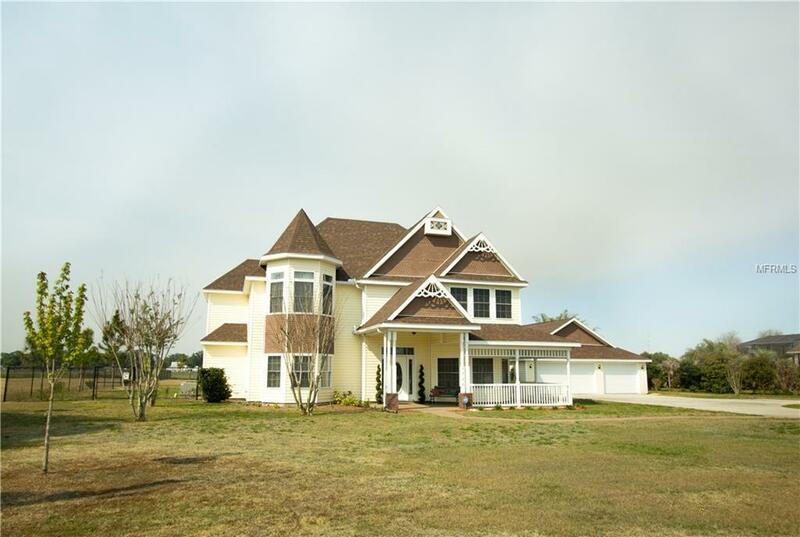 Captivating and Luxurious Country Estate; sitting on one full acre of land with a brand new roof; this estate is 100% ready to be made your new home! The stunning two story foyer welcomes you at the entry landing. Home features hardwood floors throughout, solid custom top-of-the-line cherry cabinetry extending to the wet bar, and a dramatic stairway leading upstairs. The large open kitchen with an island features cabinets and countertops galore, walk in pantry, stainless steel appliances and a large breakfast nook. This elegant home is perfect for entertaining, boasting a formal living room, formal dining room, a large family room w/wet bar and eat-in nook, plus a (14x12) den! The 3 car garage features a full stand up attic for all your storage needs, as well as a 600/SF (28x48) Climate Controlled 'Multi-Purpose' Bonus/Recreation Room with a separate entrance that could be used as a home office, or turned into a spacious In-Law/Guest suite. A tankless hot water heater provides unlimited free water sourced from a private well. Note: The 600/SF 'Bonus Room' is included as part of the total "useable" 3,850 Square Footage. However it is not reflected in the Public Record, or the recent Appraised Value. Words and pictures do not begin to do this property justice -- you truly must see it for yourself!